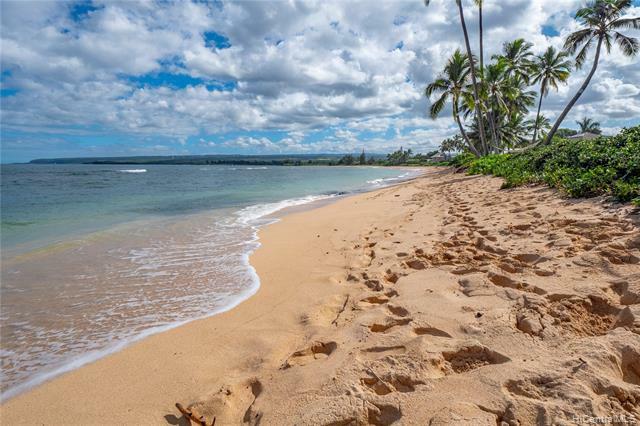 Check out three unique properties available in Waialua Beach Colony! Located on the island of Oahu, Hawaii’s most populated island. Downtown Honolulu is an active international business center. Waikiki is a favorite tourist stop with top hotels, beaches, surfing, and nightlife. On the opposite end of the spectrum is the relaxing North Shore of Oahu. There are two grocery stores, one stoplight, and over 15 miles of coastline. The North Shore is a unique neighborhood enjoying sandy beaches, small town feels, and world-class surfing. North Shore is also home of the Turtle Bay Resort that has great dining a spa and Oahu’s top-ranked Palmer Links Golf Course. 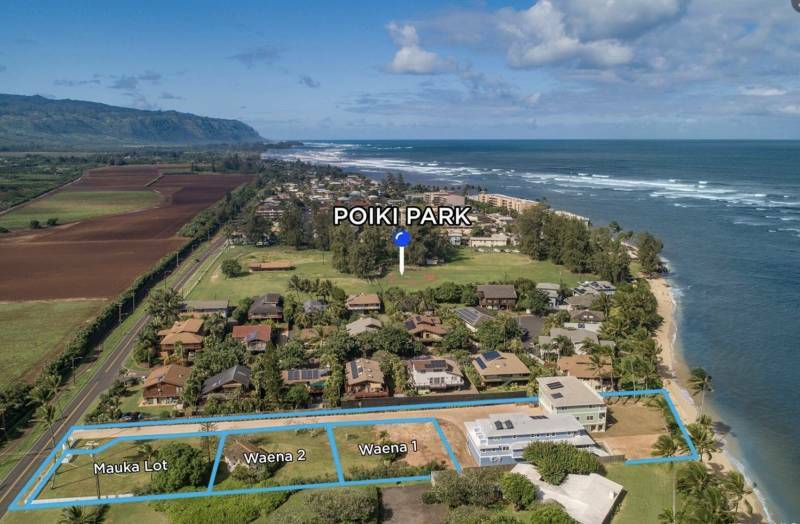 The Waialua Beach Colony is some of the last vacant land available minutes to Haleiwa town and only a short 40-minute drive to Downtown Honolulu and Haleiwa town. 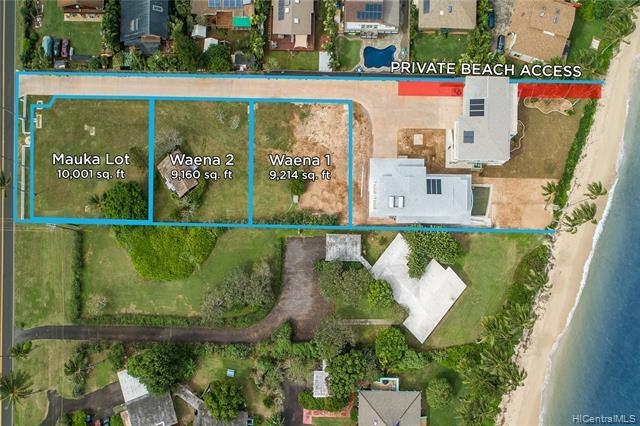 There are three lots for sale inside the Waialua Beach Colony. They are located just minutes from the town of Haleiwa. This new development features two beachfront homes that have been beautifully built and sold. Available just behind are Waena Lot 1, Waena Lot 2 and the Mauka Lot. These lots’ location gives you a sense of peace and relaxation while being close to the metro city of Honolulu (45 minutes drive). Come home and be just steps from diving, snorkeling, hiking, sailing, surfing, a bike path, skydiving, and more. Waena 1 is being offered at $775k with 9,214 sq. ft. of land. Waena 2 is being offered at $685k with 9,160 sq. ft. of land and an existing structure. The Mauka Lot is being offered at $1,060,000, and with over 10,000 sq. ft. of land will be able to have two legal homes built on the property. Keep one for rental income or sell one after the CPR process is finished. The CPR process is underway! And you will have the option to purchase one of the Mauka Lots at $485k and $685k. Each of these lots enjoys beach access to miles of shoreline only steps away from the property. 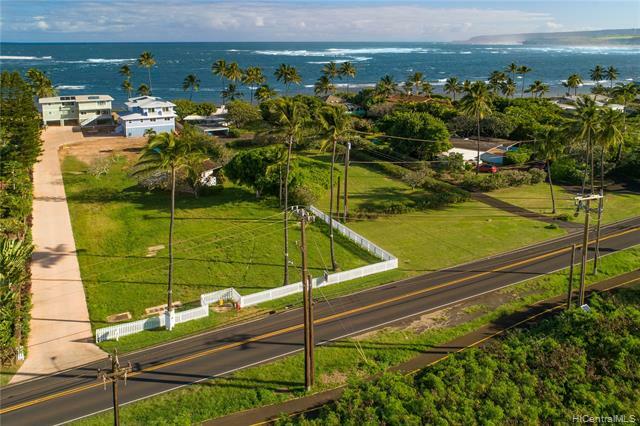 Situated on the Northwest Corner of the Oahu, these vacant lots are a blank slate for your dream home in Hawaii. Contact me below to find out purchasing options. This a great post and highly informational. I really loved all the information and pictures, especially for visual people like myself!